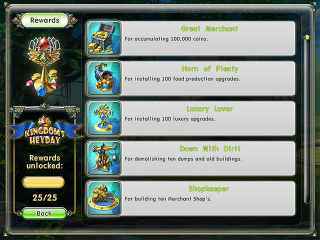 Free Download Kingdom's Heyday Game or Get Full Unlimited Game Version! Have you ever wanted to rule a kingdom? Now is your chance! Help the princess restore prosperity. In order to get advantaged of playing Kingdom's Heyday full unlimiteg game version you must register the game. Your sister, the Queen, has fallen deathly ill. Now you must travel to a faraway kingdom to find the cure.